Another word for Guardian ad Litem, could be EXPLORATORY SEARCH! This is not something you want to subject yourself, your child, or your pocketbook to. 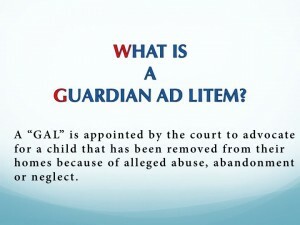 If a Guardian ad Litem (GAL) is assigned in your case, you need to know some very, very important things. Let’s start with Texas since that is where we are located and know the statutes here quite well. In Texas, if a GAL is appointed and she tries to question witnesses in trial, the number one rule is OBJECT to this appointment. If you are being told to ask for one to be appointed, REFUSE. A GAL is not your friend. 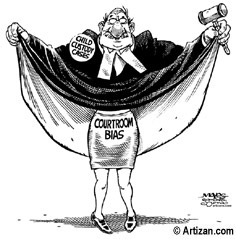 And if someone has told you that they helped them in their case, remember this, a GAL can go either way, there are no guarantees that they will side with you, and even after you spend all the money, even if one sides with you, there still are no guarantees that the court will do what the GAL suggests. So basically, you are no better off, but might be worse off if you have one, and in fact, you will be much poorer. GALs are EXPENSIVE! There is no cap in most states on how much the GAL can cost you. Did you know that there is no limit to how much a GAL might cost you throughout the course of your case? There is no cap in most states and there have been parents who have paid hundreds of thousands of dollars! You can be driven into bankruptcy with GAL fees, you will have no control over the GAL fees, you cannot opt out if the judge says the GAL stays. Consider a GAL a duplicate attorney cost. Even if you do not have an attorney, the court can impose the attorney fees of a GAL. 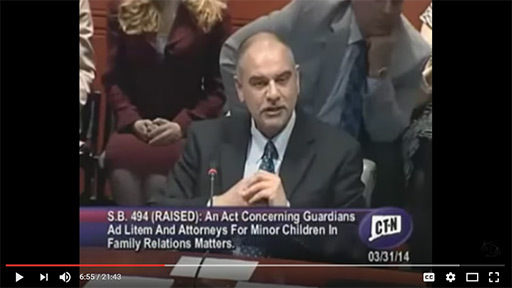 The courts generally have each parent split the cost of the GAL. Your pleadings can be struck. If you do not object to the GAL calling and/or questioning a witness you could be waiving this argument and won’t get to argue it later. *This information is not legal advice and not a substitution for an attorney. 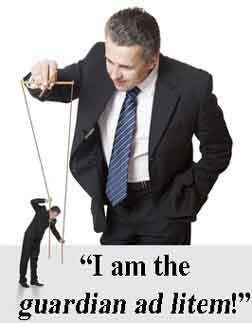 I am not an attorney and do not practice law. There could be facts in your case that warrant a GAL. We are not making decisions for you, just informing you and providing an important public service.